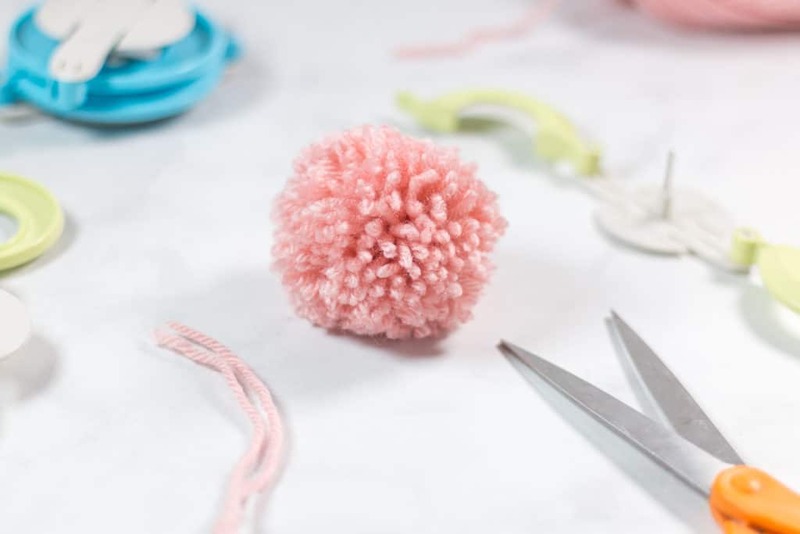 Learn how to make a pom with the simple clover pom pom maker instructions below. 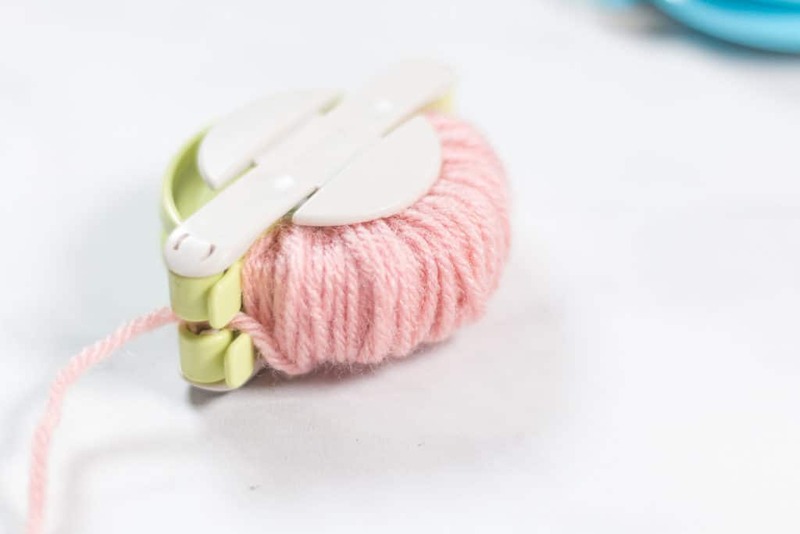 Materials you’ll need to make a yarn pom and a maker. 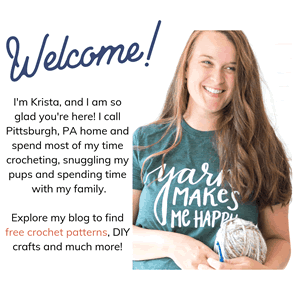 Yarn – I used Lion Brand Vanna’s Choice for this tutorial. 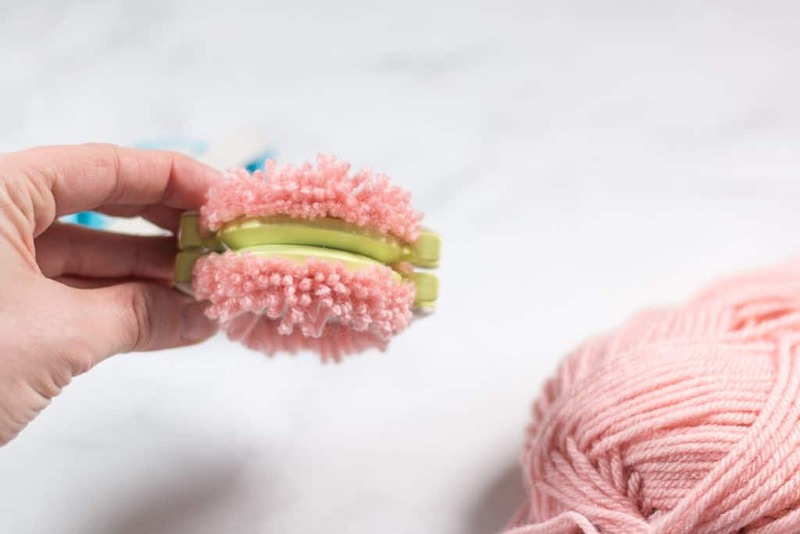 Where do I buy a Clover pom pom maker? 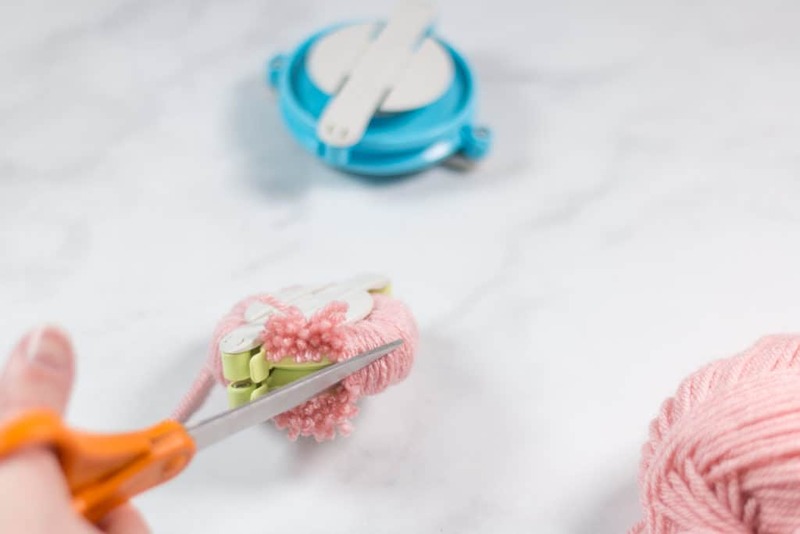 This post was written with the assumption that you are thinking about purchasing a pom maker or already own one. 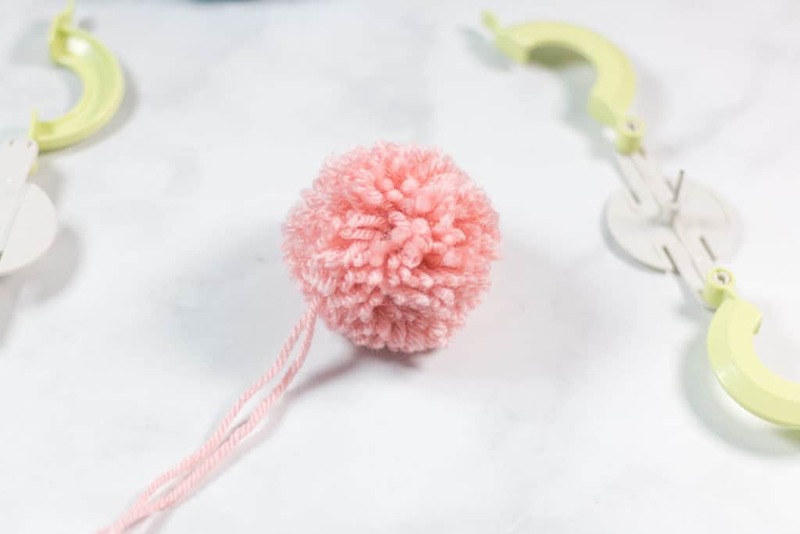 If you were asking yourself “Where do I buy a clover pom pom maker?” I can help! 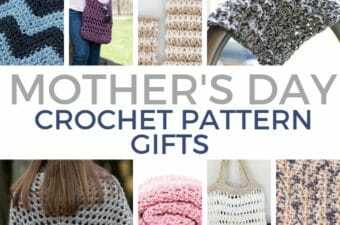 You can buy these makers at most crafts stores, Amazon or directly from Clover. You can click the boxes below to check out the different sizes of makers to see which one (or all!) would be best for you. 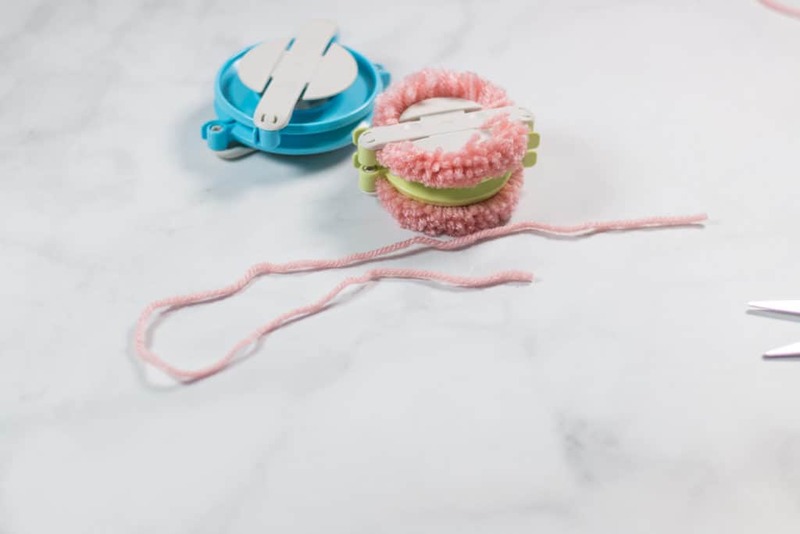 What yarn should I use in my Pom Pom Maker? The answer to this question is simple! Whatever yarn you want! For this particular tutorial I used Lion Brand Vanna’s Choice which is a worsted weight 4 yarn but you can any weight you prefer. 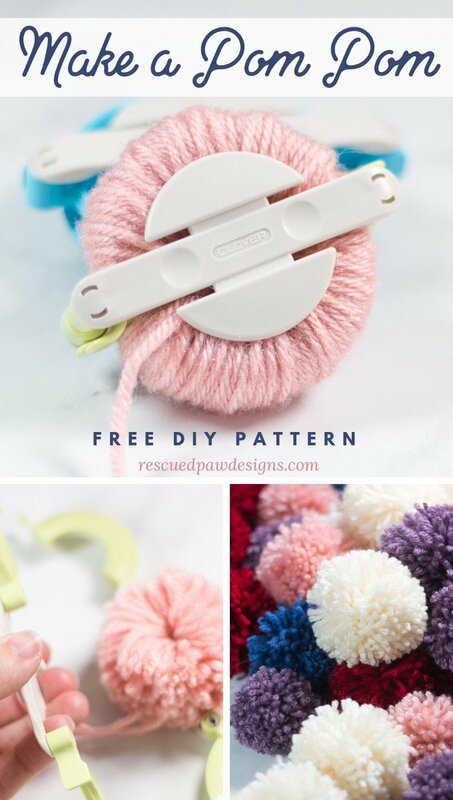 The chunkier the yarn the pouffier the pom which makes for an even quicker diy pom. 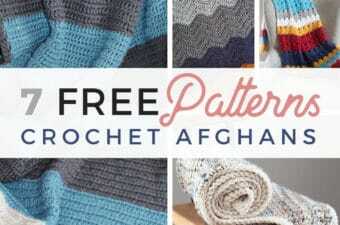 Below are some yarns that I think are great to use with a pom pom maker. 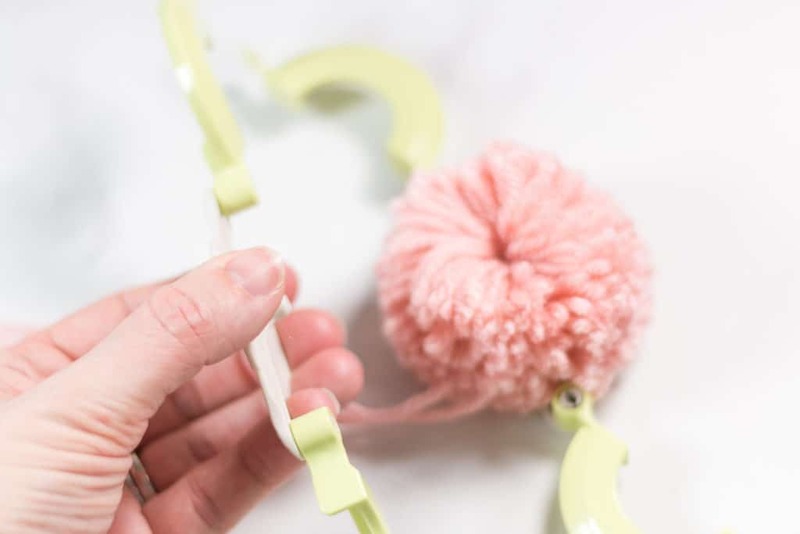 Read on down to learn how to use a pom maker in no time at all! Happy pom making! 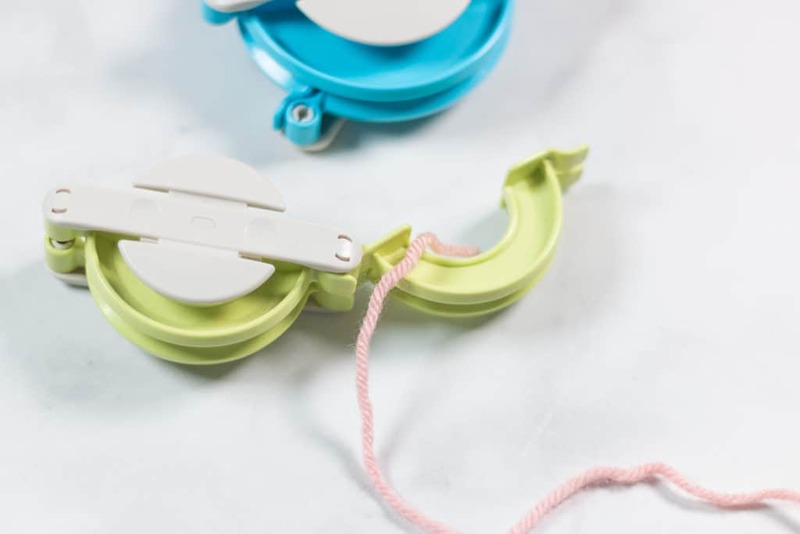 First open the pom pom maker on one side holding the two opened ends together. 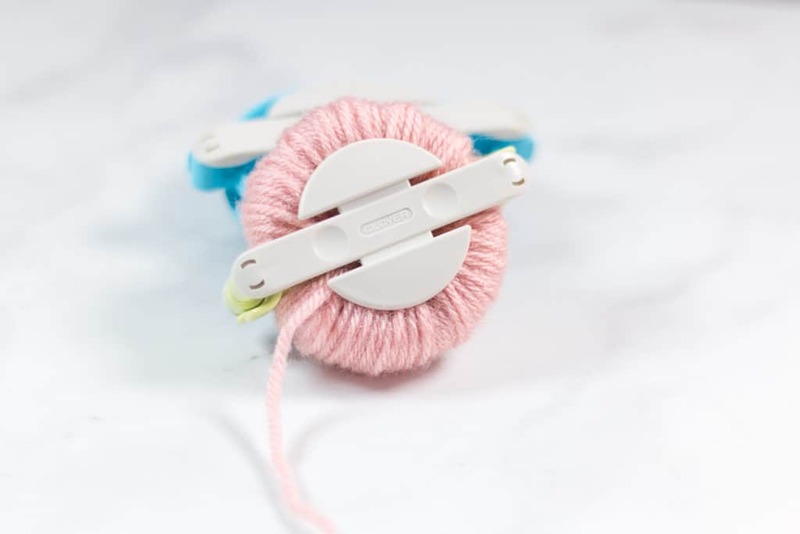 Open the opposite side of the pom maker again holding the two sides together and wrap yarn again 100-125 times. 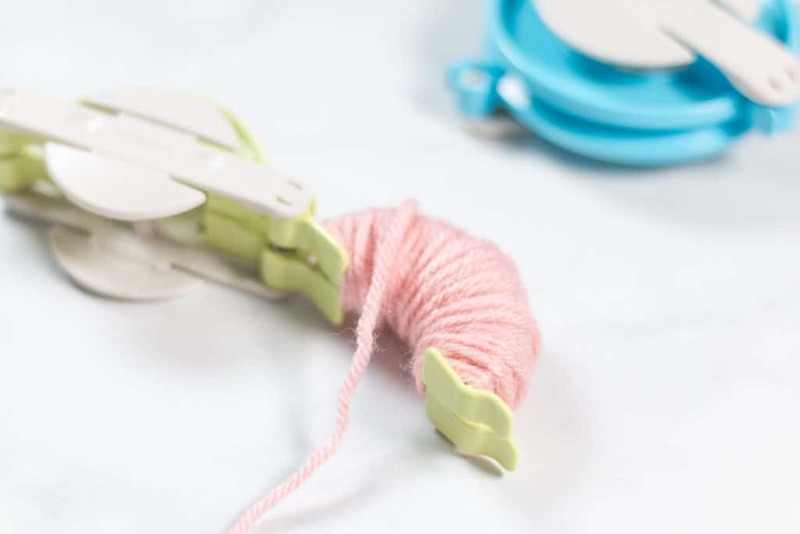 Close the ends & cut the yarn. 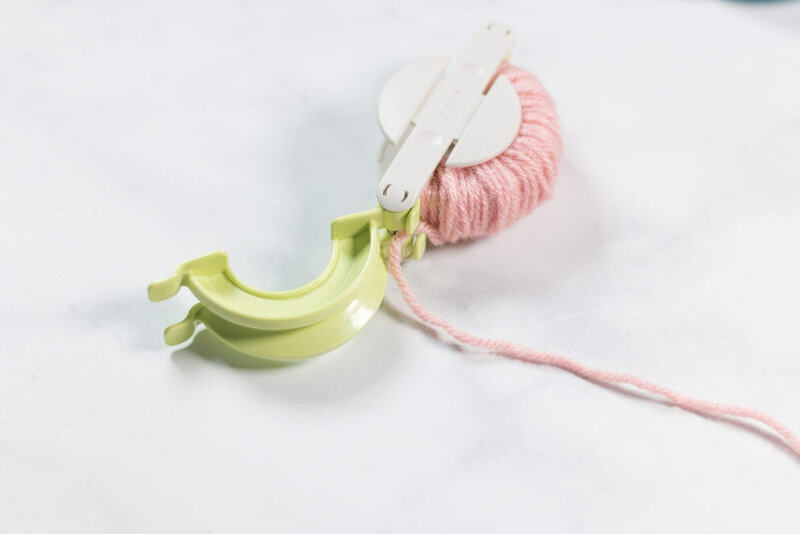 Cut a piece of yarn to a about a 10-12 ” length. 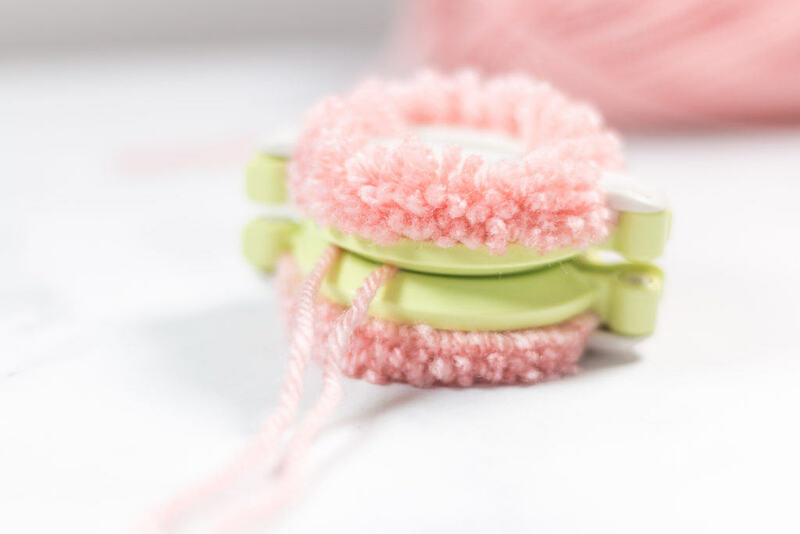 Wrap that yarn through the center of the pom maker tightly tying a knot. Tie another knot to secure. 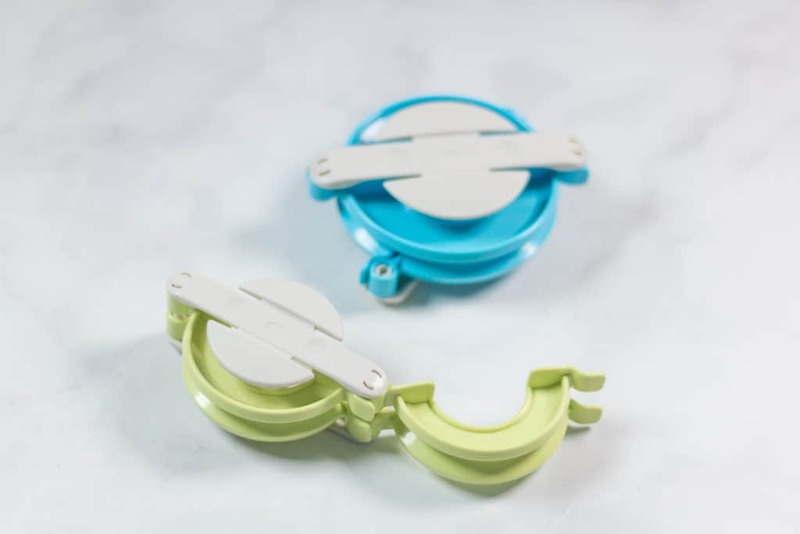 Open both sides of the pom maker and pop open the center of the maker to reveal your new pom! 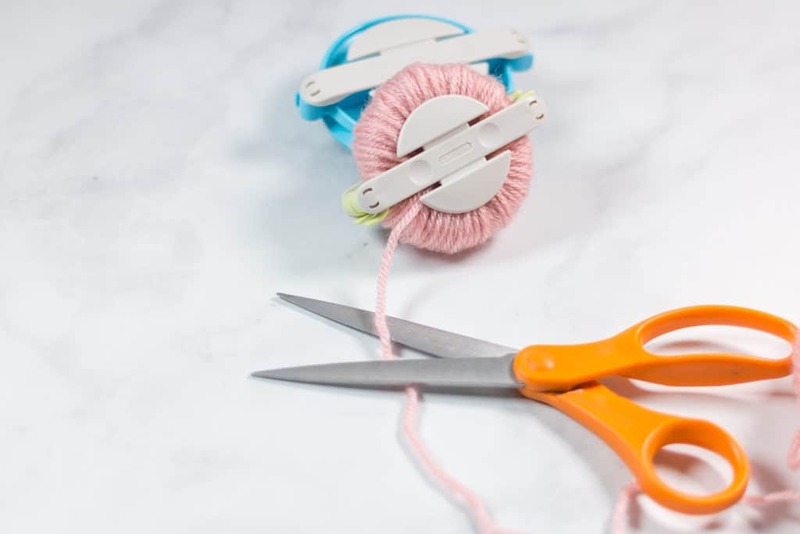 Trim up the pom with a pair of scissors to even out the pom. Cut the long yarn end that is left from tying off to be the same length as the yarn ends on the pom. 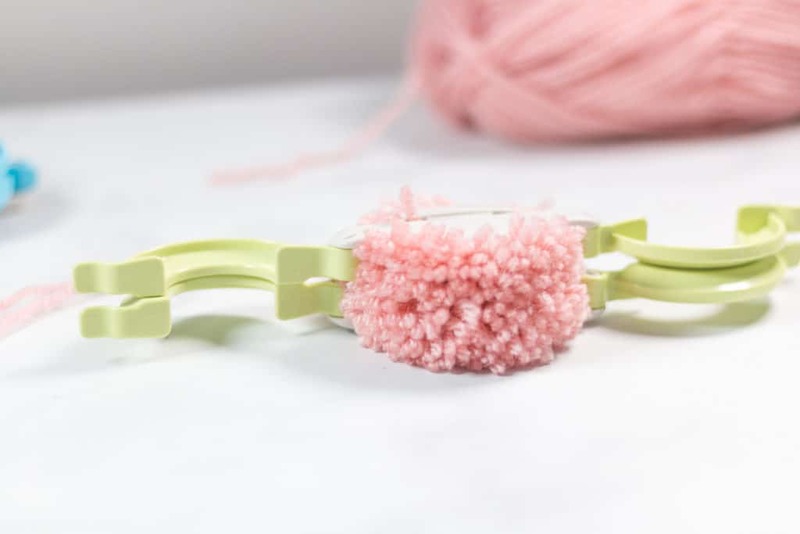 Use the Clover Pom Maker to add poms to crochet projects! 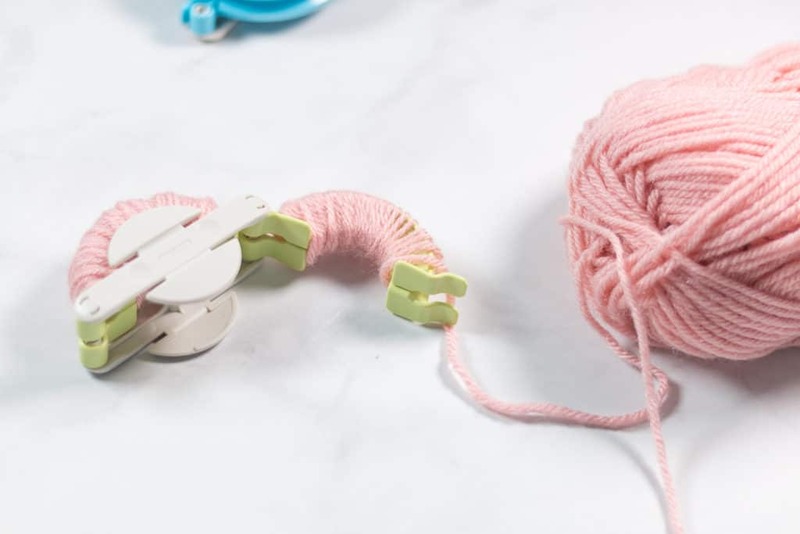 Now that you know how to use a pom maker you can add a pom to most any project or pattern you can think of! 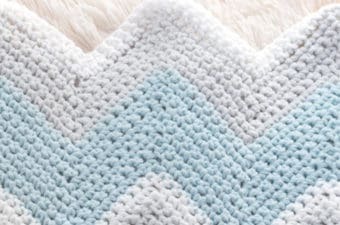 I love adding them to crochet hats on the top, on the corners of crochet / knit blankets and even using them to make an easy pom pom wreath! You can check out my post about how to make a pom pom wreath “here” if you’d like to try this easy DIY project.